​To schedule a lesson, call 262-751-6704 or email djroesch20@hotmail.com. 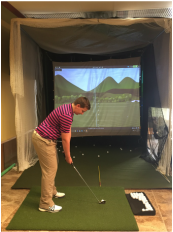 Located near Milwaukee, David provides private video golf instruction at Storms Golf Range in Brookfield (Spring, Summer and Fall) and at an indoor facility in Menomonee Falls (Winter). He teaches individuals of all ages and skill levels including juniors, adults and seniors. David is currently accepting new clients. There are package discounts for individuals interested in multiple lessons. Gift certificates and group lessons are also available. 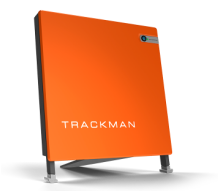 TRACKMAN 4 with Simulator technology and video analysis is available for all students. David uses Sam PuttLab to help students improve their putting technique and achieve fewer putts per round. Click here to view a sample Sam PuttLab report. I know through experience that there is no one perfect golf swing for everyone. Each person is built differently and has certain limitations. I teach the best swing for each golfer in order to maximize their potential. My overall teaching philosophy is based on a strong core of fundamentals including grip, posture, stance, ball position, and alignment. 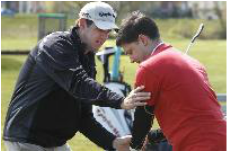 After developing great fundamentals, the focus will be on the transition of the golf swing. I then concentrate on the most important part of the golf swing: impact position. Using video analysis and TRACKMAN data, I identify problem areas and incorporate drills or training aids where needed to help my students feel the proper motions. This allows students to develop a more free-flowing, dynamic swing.